Welcome to the Parliament Buildings, home to the Legislative Assembly of British Columbia where elected representatives – called Members of the Legislative Assembly or MLAs – meet to shape the future of the province by debating and passing the laws that govern British Columbia. The Parliament Buildings and surrounding areas are located in the traditional territories of the Lekwungen (pronounced Le-KWUNG-en) people. Now known as the Songhees and Esquimalt First Nations, these Coast Salish people have a rich culture and history dating back thousands of years. This 12 ½ acre property has served as a site of government in British Columbia since 1864. The original structures, known as the Birdcages, were built to house the elected assembly for the Colony of Vancouver Island and continued to be used by the Legislative Assembly after British Columbia became a Province of Canada in 1871. The current Parliament Buildings, designed by the architect Francis Rattenbury, were officially opened on February 10, 1898. Free guided tours are available throughout the year. Come to iscover the history of the province, the architectural splendor of our cherished heritage building and learn about British Columbia's parliamentary process. Find out when you can take a tour of the buildings. Check the Parliamentary Calendar to see if the Assembly is in session. Find out what other events are happening when you visit. The collections, research and presentations enable the Royal BC Museum to tell the stories of British Columbia in ways that enlighten, stimulate and inspire. By exploring our social and environmental history, the Royal BC Museum advances new knowledge and understanding of British Columbia, and provides a dynamic forum for discussion and a place for reflection. 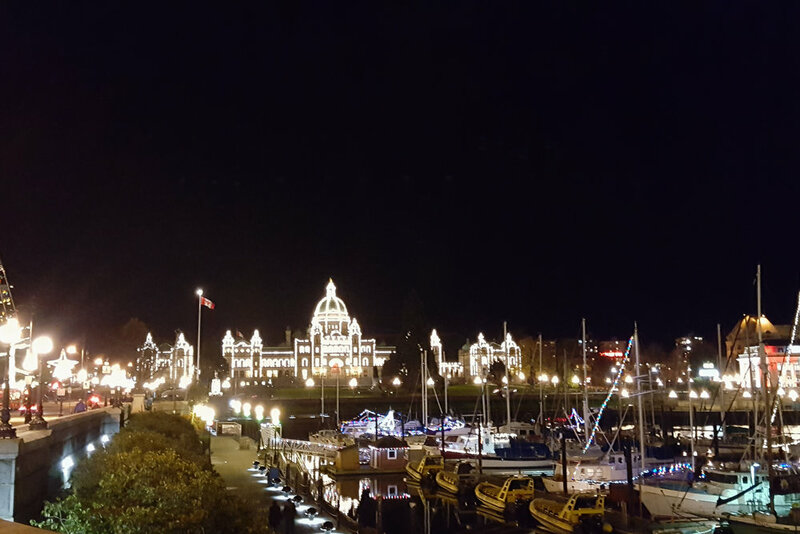 The Victoria Harbour - including the Inner Harbour - is one of the most beautiful harbours in the world. The harbour has had a long history, starting with its use by First Nations. Recreational vessels and small cruise ships can moor in the centre of this famous heritage city, just steps from its historic streets and distinctive architecture. During the summer months, the harbour is the focus of festivals, shows and music. The harbour also serves whale watching and ecotourism businesses, float planes, an International Ferry terminal with connections to Port Angeles, Bellingham and Seattle, and a water taxi service. The Butchart Gardens is a group of floral display gardens in Brentwood Bay, British Columbia, Canada, located near Victoria on. The gardens receive close to a million visitors each year. The gardens have been designated a National Historic Site of Canada.